Poet John Koethe, "ROTC Kills"
Award winning poet John Koethe discusses his new collection of poetry, "ROTC Kills". The author of several collections of poetry, including North Point North: New and Selected (2002), John Koethe also publishes and teaches philosophy, focusing on the philosophy of language. Koethe began writing poetry as an undergraduate at Princeton University and received his PhD from Harvard. John Koethe reads from his new collection of poetry "ROTC Kills"
ROTC Kills is a lyrical and arresting new collection from renowned poet John Koethe, 2011 winner of the Arts and Letters Award and the Lenore Marshall Prize for the year’s outstanding work of poetry. As typified by the provocative title piece--a wistful look back at the poet’s years at Harvard University in the late sixties--the poetry and prose within evoke the memories and dreams; the literature, popular culture, and philosophy of a generation through the lens of the poet’s personal history. In the grand tradition of Wordsworth, Wallace Stevens, and John Ashbery, ROTC Kills is an important work from a major American poet. 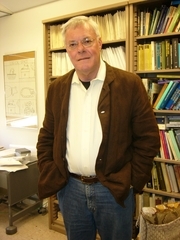 John Koethe is distinguished professor of philosophy emeritus at the University of Wisconsin-Milwaukee and the first Poet Laureate of Milwaukee. His collections include Falling Water, which won the Kingsley-Tufts Award, North Point North, a finalist for the Los Angeles Times Book Prize, and Ninety-fifth Street, winner of the Lenore Marshall Prize. In 2011, he received a Literature Award from the American Academy of Arts and Letters. He lives in Milwaukee, Wisconsin. John Koethe is currently considered a "single author." If one or more works are by a distinct, homonymous authors, go ahead and split the author. John Koethe is composed of 1 name.